We travel both Montana and Idaho selecting hides of the finest quality for fly tying purposes. 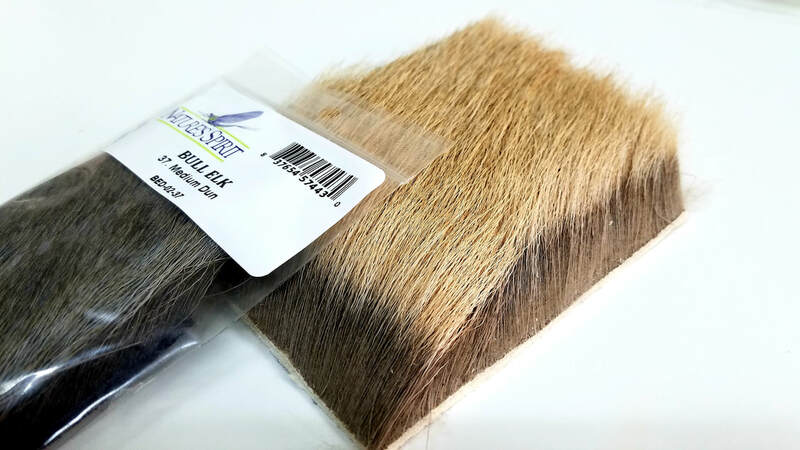 our cow elk hair is a premium product and is perhaps the best all around fly tying hair. This flank hair is grade for straightness, short to medium tips and texture that allows for compression yet maintains shape. Long, fall or early winter hair that averages 2" to 3" in length. It is fairly coarse and spins a very durable and very buoyant fly. This is the flank hair off the bull elk. The color varies from light ginger to creamy blonde (rarely almost white) with dark tips. 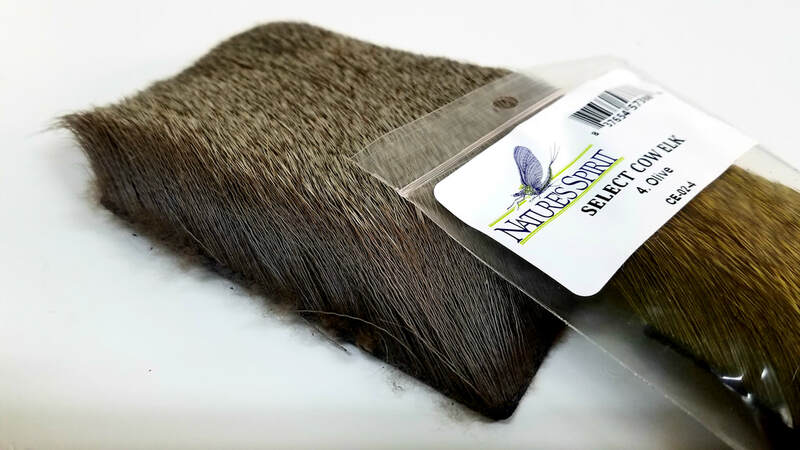 Great for Stimulators, Humpies, and the classic hair for the Troth Elk Hair Caddis. Very long, fine hair which is beautiful when stacked for large Stonefly wings., Minimum compression for controlled flair. 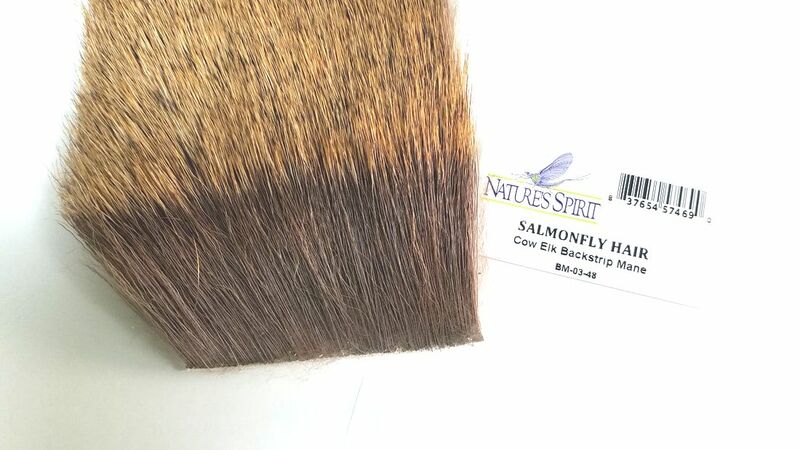 Salmon Fly Hair is very select back strip and mane. 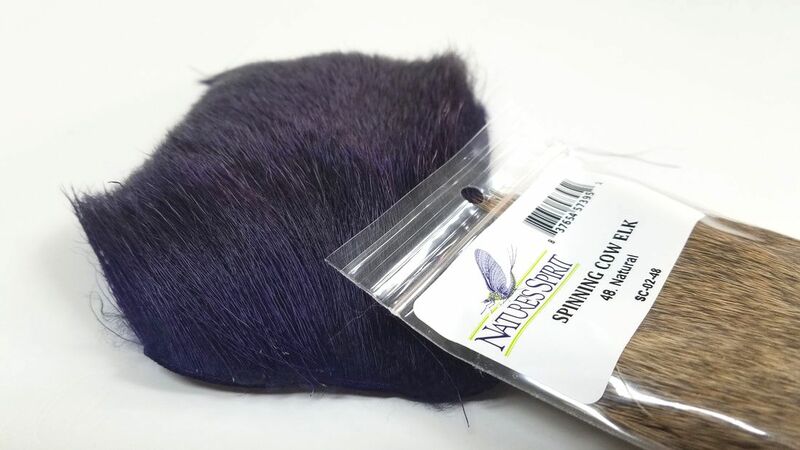 This is the perfect hair for tying Salmon flies, one of the most sought after dry fly hatches in the western U.S. The Cow Salmon fly hair averages 2 inches in length, and the Bull is 2-3 inches on average. 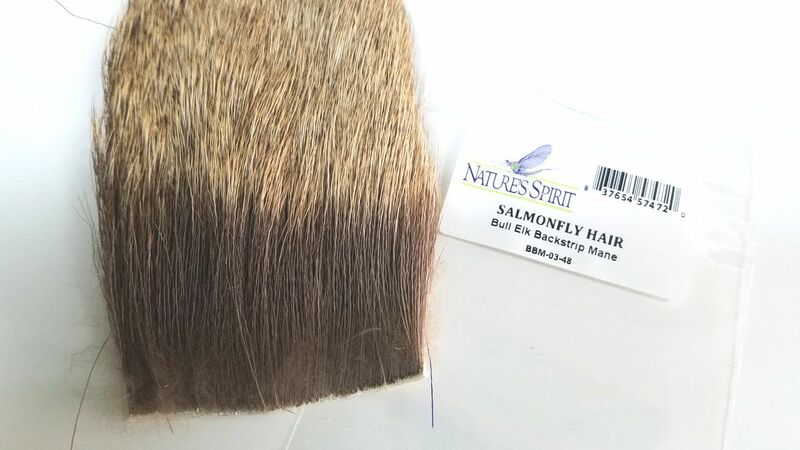 This is a fine hair with the perfect amount of flare, allowing it to lay flat and full for a impeccable salmon fly. Cow elk tend to have consistently nice rump hair so most of our rump hair comes from the cow elk. 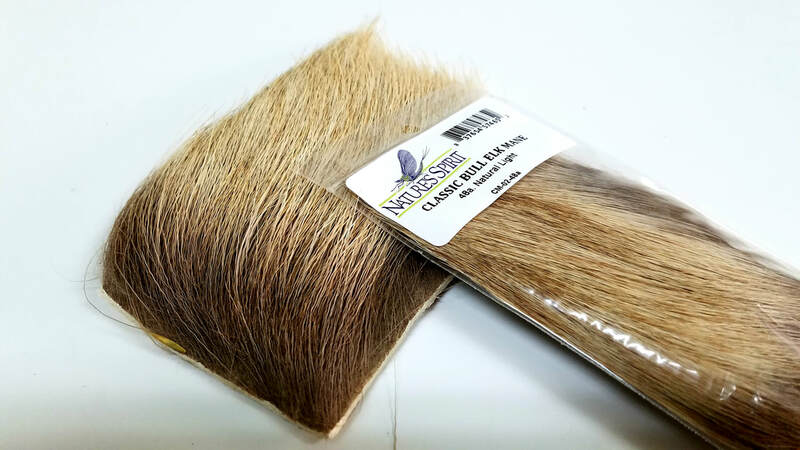 The color varies from charcoal to brown to blond with lengths up to 4". the texture is very coarse. A popular hair for extended body patterns. Also makes nice segmented bodies for hoppers. 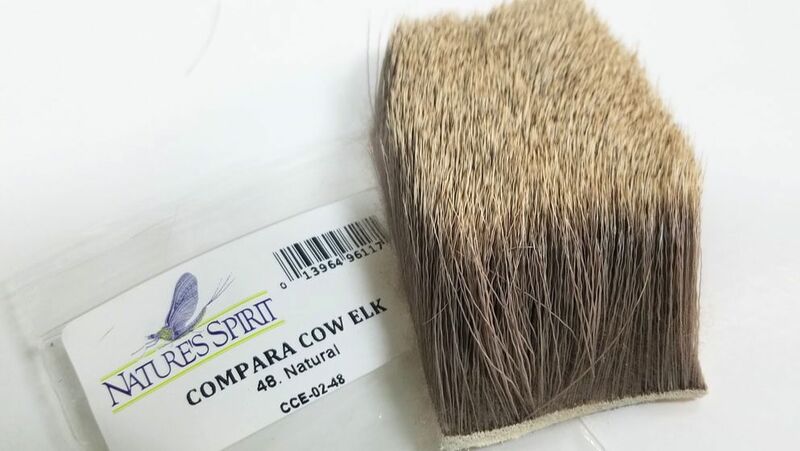 Flank hair from the cow elk that has very short tips and a texture suitable for tying comparaduns, sparkle duns and similar patterns. wings tied from this hair really hold their shape and are very durable. 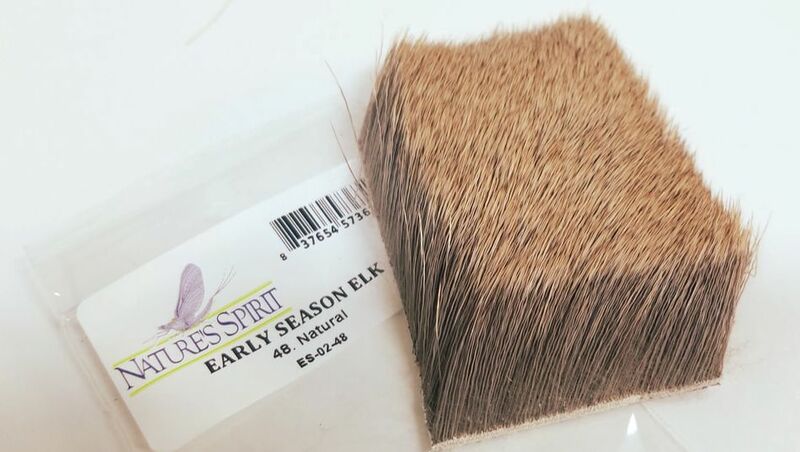 This fine diameter hair averages about 3/4" in length with short, dark tips. It is reasonably stiff with some compression and makes a very nice hair for smaller dries. A special hair available in limited supply. A popular hair for tailing because it is fairly fine and very stiff with very little compression.